However, this does not mean that it is easy to escape this situation. There are times when they can’t put food on the table or even pay bills for their necessities and just saying ‘why don’t you save?’ doesn’t change that. 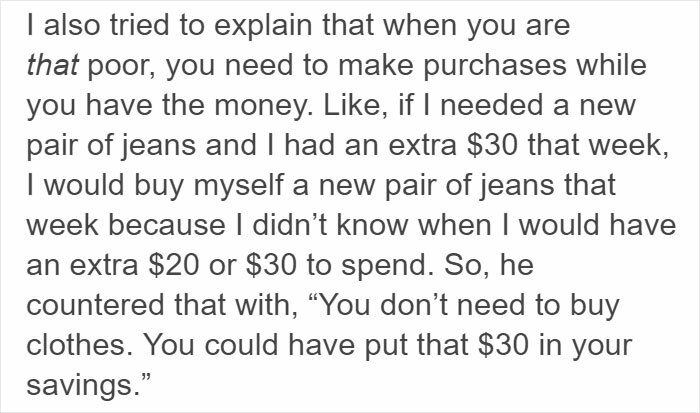 This is what one guy tried to explain to one of his rich friends. It is safe to say that his friend was quite ignorant in this matter. 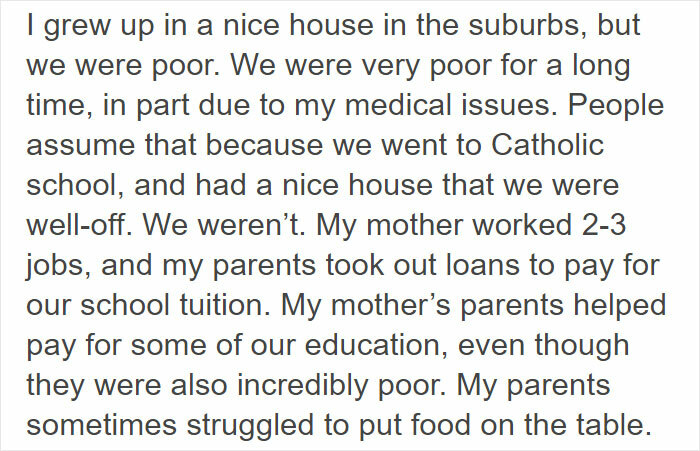 So scroll on below and take a look at how this guy explains invisible poverty. 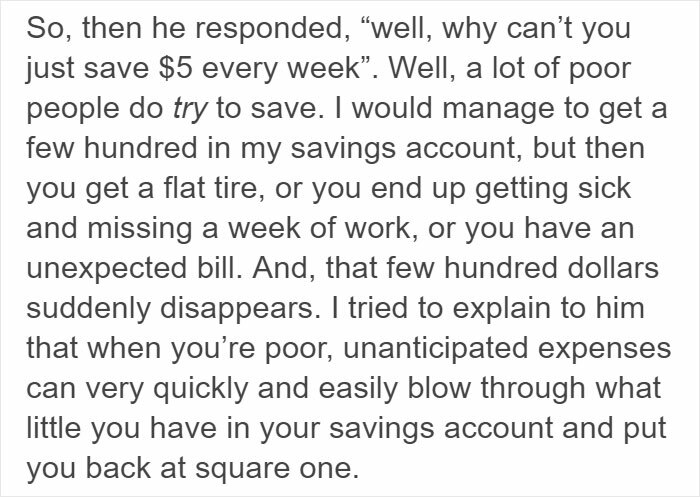 ‘Just save money,’ is not really helpful is it? So it is acceptable not to wear any clothes? What is so hard to believe about that? Every person has different realities. Health issues are the number one way that life intervenes. As you can imagine, people were quick to respond. That hit me in the feels. Many people even shared their experience. 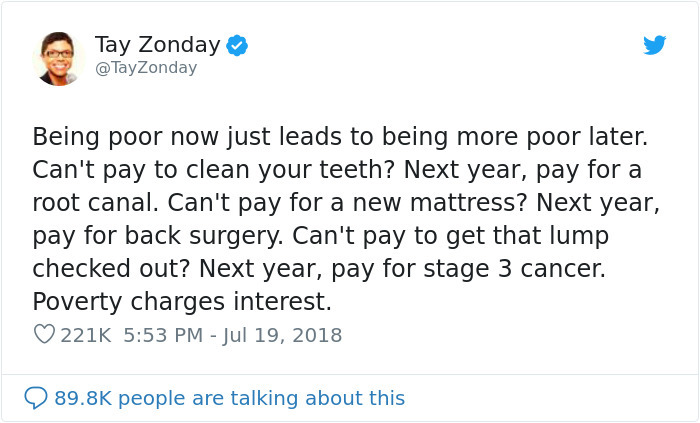 People are trying hard to ‘escape poverty’. Many people with these kinds of background lack the skills to handle money correctly. What do you think about this whole discussion? Comment down below and let us know. 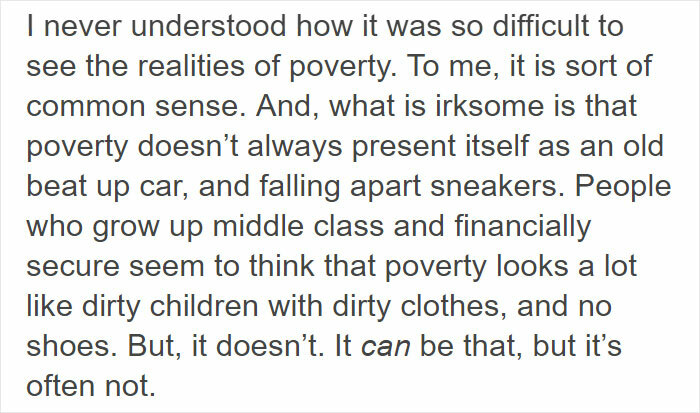 Also, you can share this with your own ignorant rich friends so they can understand what many people go through daily.